Let us discuss about Flea Pest Control Service and know some important facts on how to control. Fleas are highly specialized bloodsucking parasites that have a formidable reputation. They can claim more victims than all the wars ever fought, as a result of the “bubonic” (Black Death) plague they spread throughout the world in the 14th century causing the deaths of over 200 million people. Now, these insects are better known for their irritation and pest status nationwide. Some fleas can attack a range of hosts, and their ability to transfer from one host to another allows for the possible transfer of pathogens including viral, bacterial and parasitic diseases. The main flea species that attack humans include the cat flea, dog flea, and the human flea.The latter two species are quite common in Australia. The common cat flea is found on both animals. It is also the species who is usually identified in attacks on humans. The only flea-borne disease that currently occurs within Australia is “Murine Typhus”. This bacterial disease can cause extreme discomfort, pain, and nausea. The continual biting activity of fleas alone causes a great deal of irritation and distress to humans. Flea Pest Control Service – Fleas are notoriously for escaping the amateur exterminator so you must have a tiered plan to deal with them. Inspect your property and your pets. Dogs and cats are always the most common place to find fleas. Check for fleas by parting the fur. Your pets must also be directly treated. Take them to a vet or buy an over the counter flea collar. Spot treatments are also very popular. These formulas are directly placed on the pet and have great results. The chemicals in these treatments are also safe for the pet. There are also many prescriptions for dogs that kill fleas. Be sure to check outside in your pet’s habitat. Places like a doghouse are great homes for fleas near a source of food. As the fleas die on the pet, bug-bomb or spray the home. As mentioned before, flea bites to humans can cause irritation, swelling, or secondary infections. If you discover any bites, be sure to continually clean the home or business and repeat good hygiene practices. Vacuum your carpets to pick up as many eggs as possible. Most cases are manageable without needing professional help. If your infestation is too large to control, seek a qualified pest controller as soon as possible. After pets have been treated, calling a pest controller to fumigate with proper insecticides is a good idea. Coating the home with these pesticides can prevent re-infestation. But fleas are great at hiding. They also return after eggs hatch in about two weeks. Repeat treatments are sometimes necessary to complete eradication of the problem. Most pest control professionals also offer a warranty plan to safeguard your home for the future. Always remember that your pets are the most likely avenue of invasion for the flea, so adequately protect them and you will adequately protect yourself. 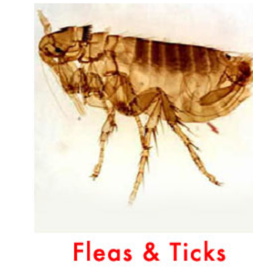 To know more about Flea Pest Control Service, feel free to contact us.